When will be The Flash: Chronicles of Cisco next episode air date? Is The Flash: Chronicles of Cisco renewed or cancelled? Where to countdown The Flash: Chronicles of Cisco air dates? Is The Flash: Chronicles of Cisco worth watching? The Flash: Chronicles of Cisco follows "The Flash" character Cisco Ramon as he works late at S.T.A.R. Labs making improvements to the Flash's suit. Cisco works late at night attempting to improve the Flash's suit to make it more bullet proof and odor resistant. An unexpected intruder threatens Cisco while he is working late one night at S.T.A.R. labs. While holding Cisco at gunpoint, Peek-a-Boo demands that Cisco make her a customized gun which will suit her needs. 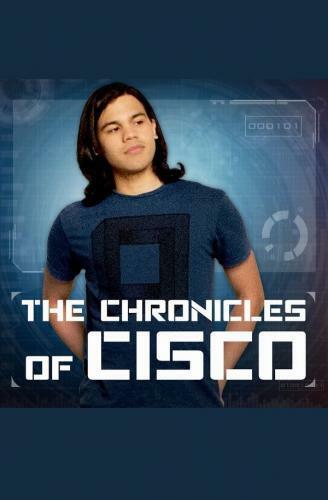 The line between reality and dreams is blurred when Cisco questions his encounter with Peek-a-Boo. The Flash: Chronicles of Cisco next episode air date provides TVMaze for you. EpisoDate.com is your TV show guide to Countdown The Flash: Chronicles of Cisco Episode Air Dates and to stay in touch with The Flash: Chronicles of Cisco next episode Air Date and your others favorite TV Shows. Add the shows you like to a "Watchlist" and let the site take it from there.